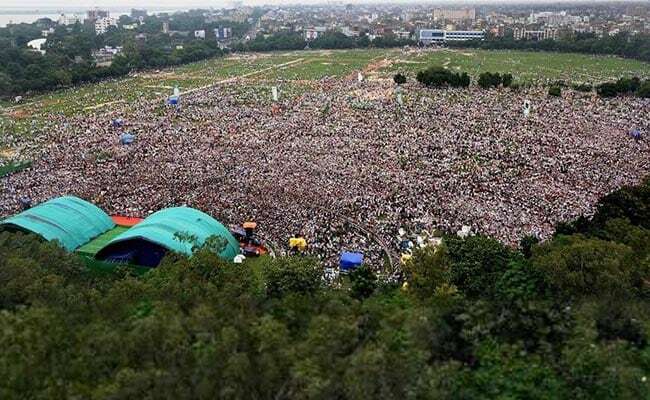 Lalu Prasad Yadav grabbed eyeballs today for a photoshopped image posted from his official twitter account where the crowd in his mega rally seemed larger than they in fact were. The photo of Lalu Prasad Yadav's 'BJP bhagao desh bachao' rally in Patna released by news agency PTI. Designed as a show of opposition strength Rashtriya Janata Dal chief Lalu Prasad Yadav held a massive rally in Bihar's capital Patna today. 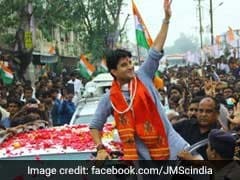 Political bigwigs including Leader of Opposition in the Rajya Sabha Ghulam Nabi Azad, West Bengal Chief Minister and Trinamool Congress chief Mamata Banerjee and Samajwadi Party president Akhilesh Yadav were present in the mega anti- BJP rally in the city's Gandhi Maidan. Seated in the front row were Lalu Yadav wife, sons Tejaswi and Tej Pratap Yadav, and daughter Misa Bharti, a Rajya Sabha MP. But what sparked the buzz online from the "BJP bhagao desh bachao" rally was a morphed picture shared by Lalu Yadav on Twitter. The image appeared to have been digitally altered to show a larger crowd than real. Within moments of Mr Yadav posting the picture, social media users started pointing out the goof. "Scam" references taking digs at the corruption-tainted leader followed. Today in Patna, thanks to Photoshop, Lalu Yadav and his illustrious progeny demonetised the crowd. Only haters will say this is Photoshop. Either give Rs 2000 and get huge crowd or photoshop the pic. Lalu Yadav photoshopped the pic with Rs 2000 note filter. Photoshop invented by Modi Ji in 2013-14 and successfully grab by all political parties. Some even offered help to the leader who recently ended alliance with Bihar Chief Minister Nitish Kumar. They shared images they thought were photoshopped better.